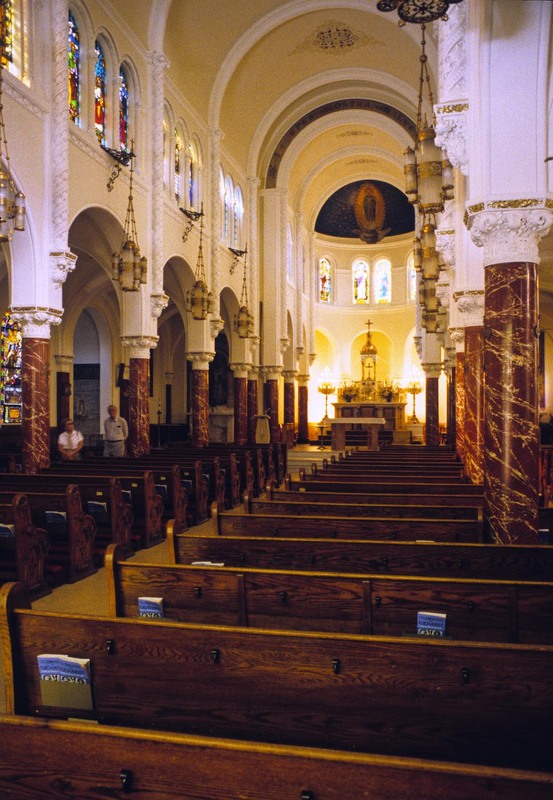 The Roman Catholic Archdiocese of San Francisco, owner. Rev. Etienne Siffert, Pastor; Steven Bowers, Archdiocese Building Comnmittee. CAMPOAMOR architects - Roberto & Halcyon Campoamor, principals, with David Finn, AIA, project and construction management, consulting architect. URS Greiner, Inc., structural engineers. Joe Baldelli, engineer and project team leader, with Larry Seaman, architect. H&M Mechanical Group, mechanical engineer. Pete O. Lapid & Assoc., electrical engineer. Treadwell & Rollo, Inc., geotechnical engineer. Page & Turnbull, historic preservation consultant. Schoenstein & Co., organ consultant. Lesley Bone, M.H. De Young Memorial Museum, object conservator. Mayta & Jensen, general contractors. Oliver Dibble, project manager; Wayne Sanders, jobsite superintendent.